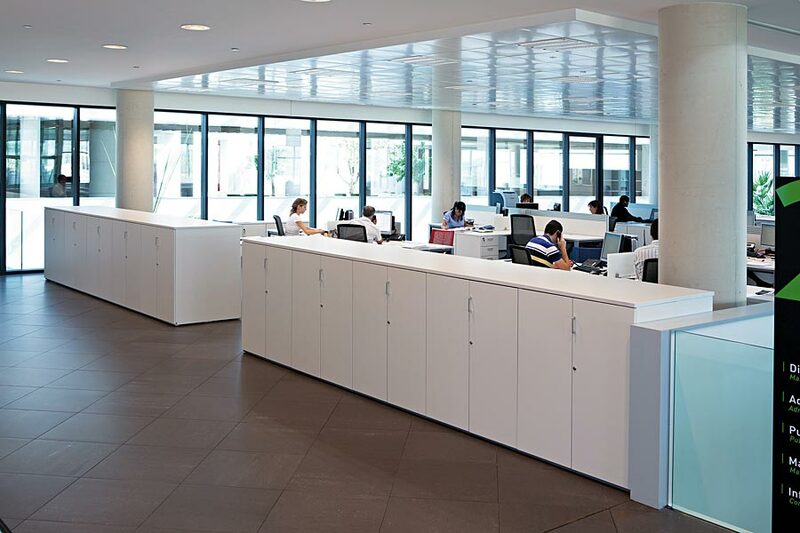 Modular cabinets are an operative office filing program with melamine finishes, available in various sizes with the option of horizontal and vertical growth. The range of models cover all the office filing needs. 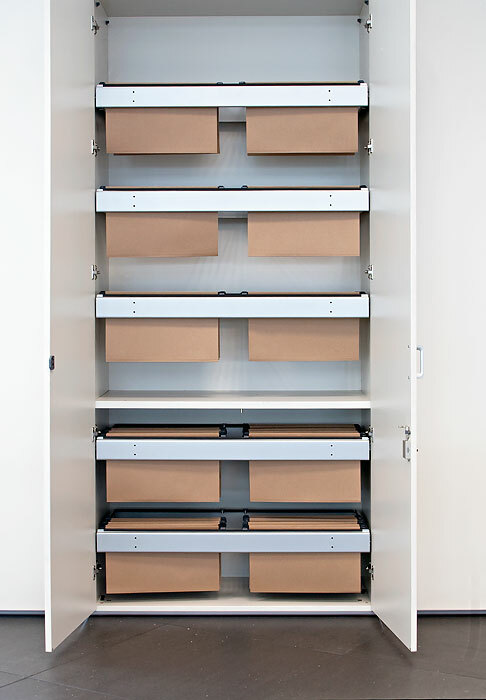 Modular storage is available in an array of heights, widths and finishes and hosts a wide range of storage and filing options including doors, shelves, filing drawers and cabinets. 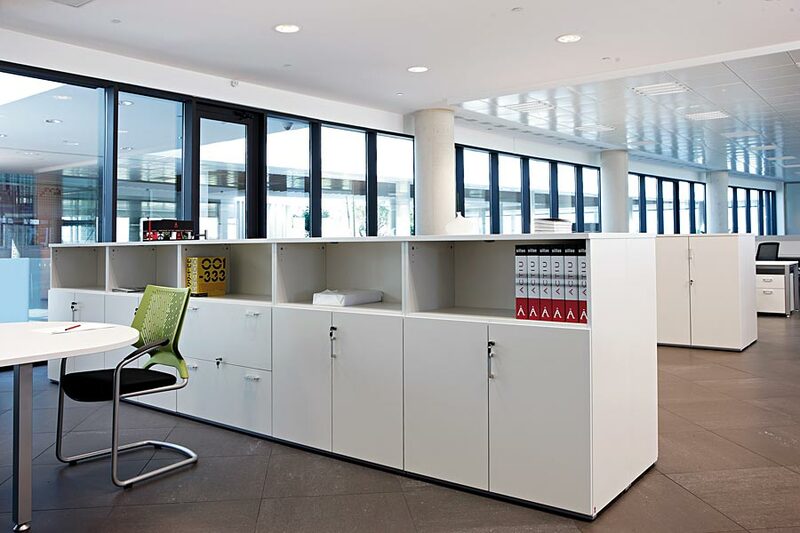 This system allow for the perfect combination of storage options customised for the individual client. Modular is made from 25mm MFC and can be finished in 1 colour or a combination of 2 colours as per the specification guide. Shelves available in 25mm MFC or steel metal 0.8mm thick. Double lower runner for suspension files available as an option. 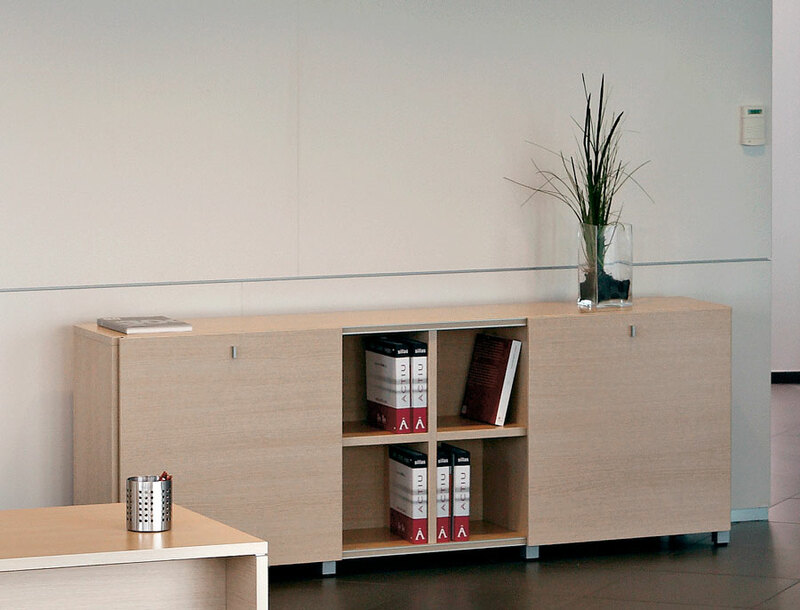 Side panels are 19mm thick MFC with a 5mm MDF back panel or 16mm matching back panel for corridors. 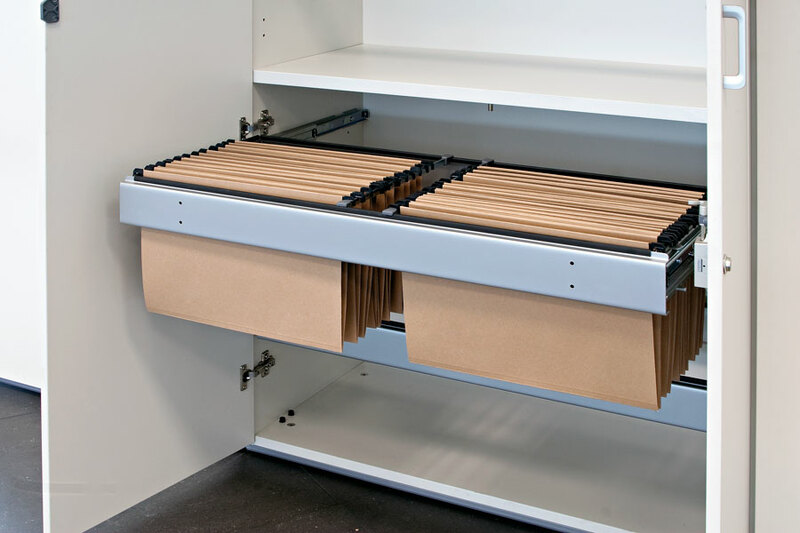 Height adjustable shelves, hinges with automatic lock system in three positions. 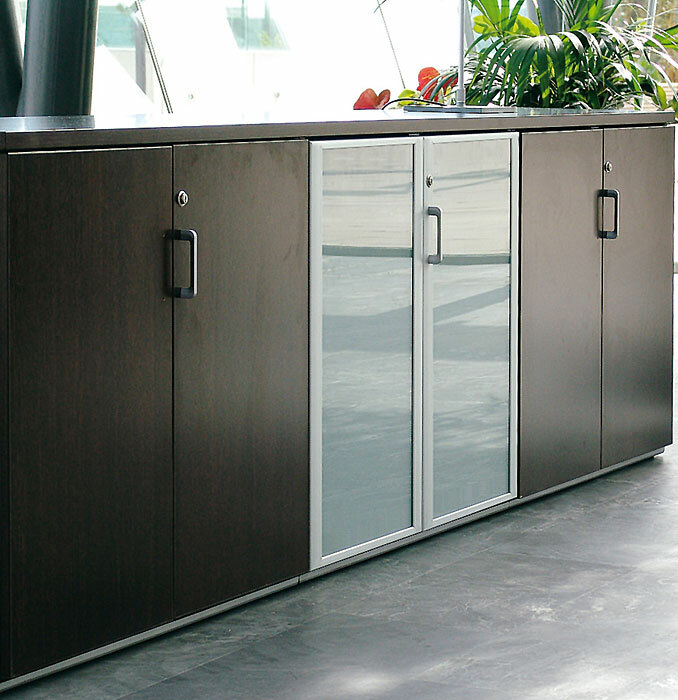 Hinged doors manufactured with 16mm MFC or an aluminium frame with 4mm thick glass. Lock with anti tilt mechanism.